In the world of sweets, Easter is a busy time of the year when bakers can showcase their most delectable creations and achieve a great turnover. 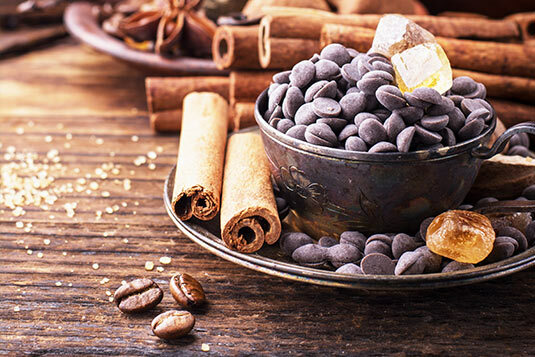 Of course, this means preparing more of those delicious chocolate treats your customers have been craving for. It is thus important to be well prepared and not miss this golden opportunity to boost your sales. We have everything you need to help you prepare your treats, pastries and desserts in no time. To celebrate Easter, every sweet tooth in town will flock to your store, looking for your finest confectionery selection of chocolicious treats. 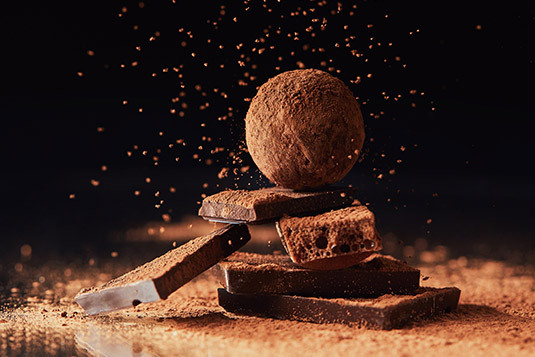 To prepare your Easter eggs, figures, glaze and decoration, we offer chocolate in all its forms, from powder, block, discs or drops to chips. Brownies are always very popular for any occasion. With our mixes, you can prepare about 260 brownies in a snap. Simply combine 12.5 kg of our Brownie mix, 535 ml of water, 5 medium eggs and 250 g of pecan nuts. Place non-stick paper in a tray and spread the mix. Bake at ± 190 ° C. Let the brownies cool down before cutting them into squares. You can also add a little personal touch to turn them into a festive dessert that will appeal to children. 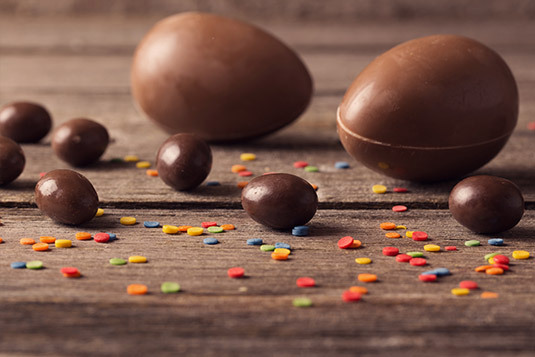 Delight your customers with desserts that are as creative as they are delicious, such as Easter eggs with chocolate mousse. To prepare a large amount of creamy mousse rapidly, beat 1kg of ChocoMousse Mix, 800g cream and 1.2 L water for 5 minutes. With its velvety soft interior, the chocolate truffle is a beloved classic. Here is a great and easy recipe for this delicious sweets. Melt 900 g of dark chocolate in a bain-marie. Add 300 g butter and let it melt while mixing. Add 6 egg yolks and mix. Then add 21 cl of liquid cream and 300 g of icing sugar. Add 2 spoons of rum to taste. Roll the dough with your hands to make balls the size of a nut, then roll them in cocoa powder, crushed nuts, or chocolate chips to offer a nice selection. You are now ready to bake!